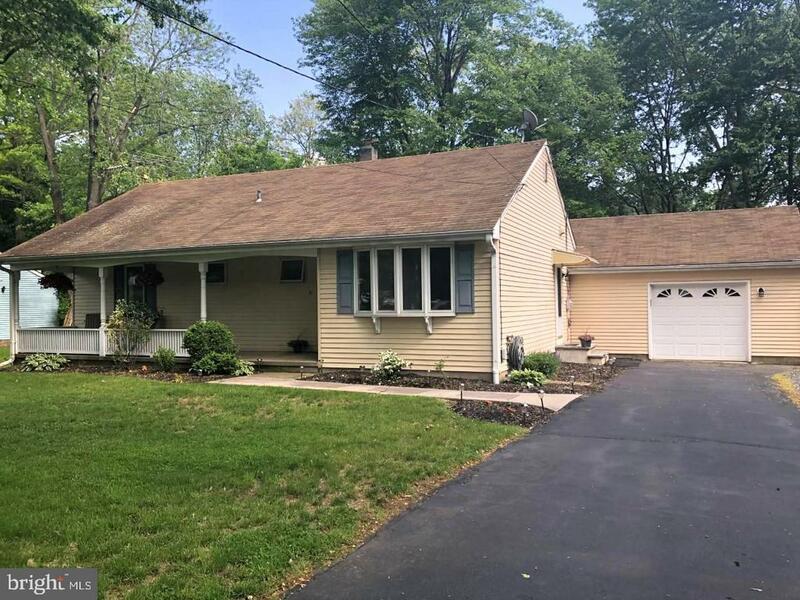 Three bedroom ranch in the very special town of Hopewell Borough. Features include: Central Air, Natural gas heat, Pellet stove in FR, Hardwood floors, attached over-sized garage, Eat in kitchen with stainless steel appliances and abundant oak cabinetry. Huge Living room (could be DR) with bay window. Master bedroom has full upgraded bath with stall shower. Beautiful slate patio with knee wall lends for backyard entertainment. Need more space? There is a Full basement that has been professionally waterproofed and waiting to be finished! An easy stroll to downtown to access all that it offers. Antique shops, delicious restaurants, local organic markets, quaint library and even a State of the Art Theatre featuring bands, movies, historic talks and more. Have fun at the Hopewell Harvest Fair or enjoy some old fashion fun at "Cruise Night" Minutes to downtown Princeton, Lambertville and New Hope. Central to NYC, Philadelphia and train stations. Come see this home and make it yours!